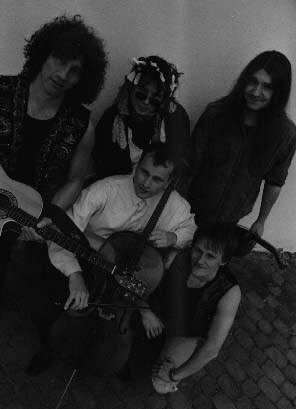 Pookah was a five-piece out of Erlangen, Germany, the same town that produced the Merlons. But unlike the Merlons, who were more "mystic", Pookah had much more of a traditional folk aspect to them. Combine two acoustic guitars, one cello, bongos and percussion and a beautiful female voice with some haunting dark melodies and perfect musicianship, and you can begin to image the beauty of the music of Pookah. Unfortunately, they split up soon after their one and only release came out. Their debut CD, and a masterpiece it is. Peat Zeitler, Willi Dentler, Udo Harrer, Johannes Hahn and Stefan Schwarzmann have teamed up on this wonderful, haunting recording to offer you their interpretation of life. Standout tracks include “Waiting For The Sun”, “Das Öffnen Der Truhe” and “Look At Me”. Very distinctive cover, full color throughout, by Uwe Fuchs.